“Mr Redfern, I took 30,000IU of Serrapeptase five years ago and it saved my life. I was suffering with stress from Graves Disease and Glaucoma, hardening of the arteries and more. In two months I could run across city streets for a bus and not feel winded. My back was loose, my blood pressure down. I injured my left shoulder doing serious lifting which would have killed me earlier. I’m so grateful for these products. Sian Roberts led a busy life practising and teaching aromatherapy until stomach problems sent her to hospital for tests. Not long after that she began to lose a dramatic amount of weight. Finally Mrs Roberts discovered Serrapeptase and the Serrapeptase/Nattokinase Formula. And on reading this information she started on a course of ozone therapy aimed at cleansing the body of bugs and viruses. “Hi- Thank you for your wonderful and informative site! I bought your Serrapeptase 80,000IU and commenced taking 6 pills per day in divided doses on an (empty stomach) to combat extreme inflammation from Polymyalgia Rheumatica. It seemed to be working, as after 6 weeks (when I ran out!) I had managed to get my 60 mg per day Prednisone dose down to 15 mg with no flare ups. “I have used Serrapaptase to cure my Polymyalgia Rheumatica, which I had for 10 years starting in my 40s. Incidentally it cured my varicose veins and I then took it when a severe face wound went necrotic and five separate health care professionals told me I would have to have plastic surgery. I took pictures of the Serrapeptase completely healing the wound and persuaded the implantologist that I would use it for bilateral dental implants instead of steroids, to which I’m allergic. 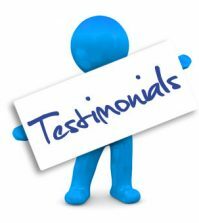 “I have used up all the BlockBuster AllClear (6 tubs) and am very much better. However, I have now decided to try the high dose of Serrapeptase as Block Buster is rather more expensive. I shall be interested to see whether it is OK.
“I had had lots of therapy, but it had not really helped. I am more or less free from pain. I hear about all the great things Serrapeptase does for Polymyalgia but no info on the dosage i have poly and i take 60,000 su twice a day and i’m diving in pain what is the dosage i must take for results. please help me. Please also contact the health coaches at Good Health Coaching Centres, for full support and guidance throughout the plan. It is completely free, so nothing to lose. Just register for a call back at http://www.MyGoodHealthClub.com and one of our health coaches will contact you shortly.